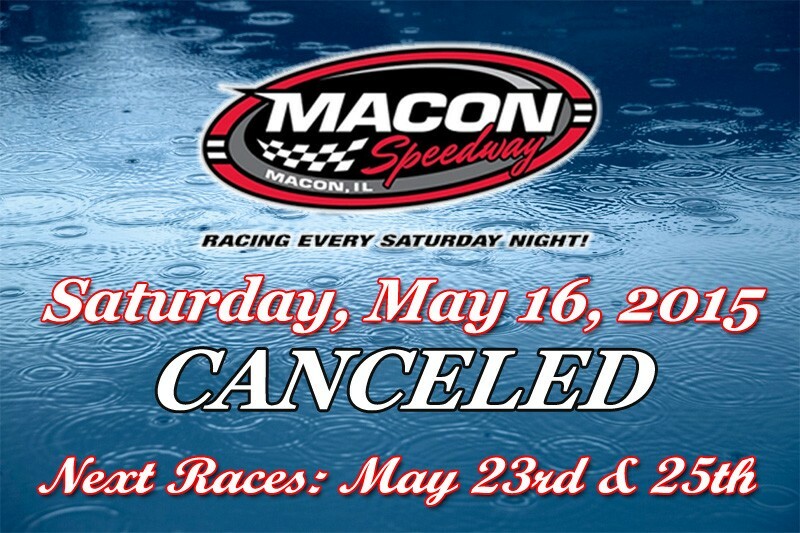 Early morni ng rainfall, on top of rain that hit the area Friday forced the cancellation of another race at Macon Speedway on May 16. Scheduled to run were the POWRi Midgets and Micros in addition to the Billingsley Towing Modifieds, Street Stocks, and Hornets. It is the second cancelation in a row and third of the season for the Central Illinois speedplant. It is also the second time this season that POWRi has had a Macon show canceled. Up next will be a doubleheader weekend featuring Bob Brady Dodge Raminator night on Saturday, May 23 and a Memorial Day Special on Monday, May 25. The Saturday, May 23 program will include Pro Late Models, Billingsley Towing Modifieds, Street Stocks, Hornets, and the first visit of the Illinois Lightning Sprint Series. The Monday, May 25 program will have Pro Late Model Big Ten Series special plus the Billingsley Towing Modifieds, B-Mods, Street Stocks, Hornets, and the Beach House Micros. Kenny Wallace and Ken Schrader will be paying a visit to compete with the Mods. Pit gates open Saturday, May 23 at 4:00, grandstands at 5:00, hotlaps at 6:00, and racing will begin at 7:00. General admission is $12 for adults, while children 11 and under are free. Monday, May 25 times are pit gates at 3:00, grandstands at 4:00, and racing at 6:00. Monday admission is $15 for adults and children 11 and under are free. There are a couple of big shows coming up during the week for fans who want to see some racing. On Wednesday, May 20, the Terre Haute Action Track in Western Indiana will be having the USAC Sprint cars and UMP Modifieds at the Tony Hulman Classic. For full info go to terrehauteactiontrack.net. On Thursday, May 21, the 62nd Annual Hoosier Hundred will be held at the Indiana State Fairgrounds. The USAC Silver Crown cars and UMP Modifieds are part of that big program. trackenterprises.com has full info.